Clay Matthews was close, and Cam Newton even lauded the Packers linebacker’s consumption of tape. 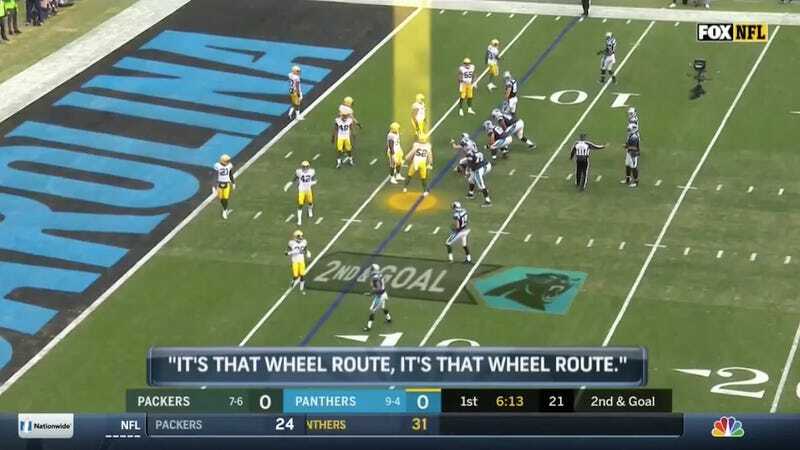 But Panthers running back Christian McCaffrey ran a slant instead of a wheel route and scored the team’s first touchdown of the day. Banter at the line of scrimmage is good, and there should be more of it.